For foodies like me the best part about keeping Vrat is that you get to eat so many delicious dishes. 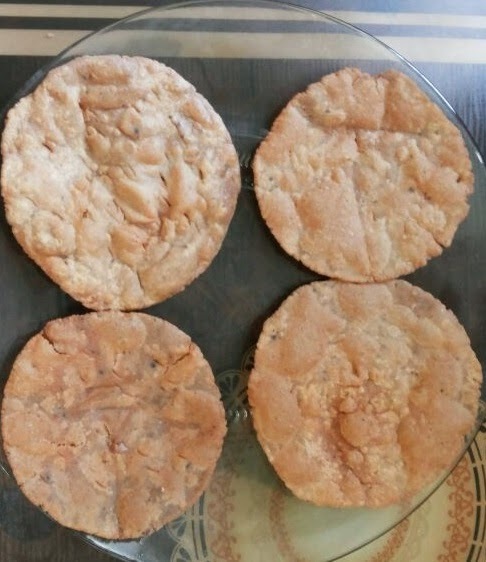 Rajigra Puri is another recipe made during fasting of Vrat. Back in Gujarat we make Rajigra Puri during lunch time and serve it with Farali Pattice, Suki Bhaji and Aam Rus (Mango Pulp). Mouth-watering isn't it? 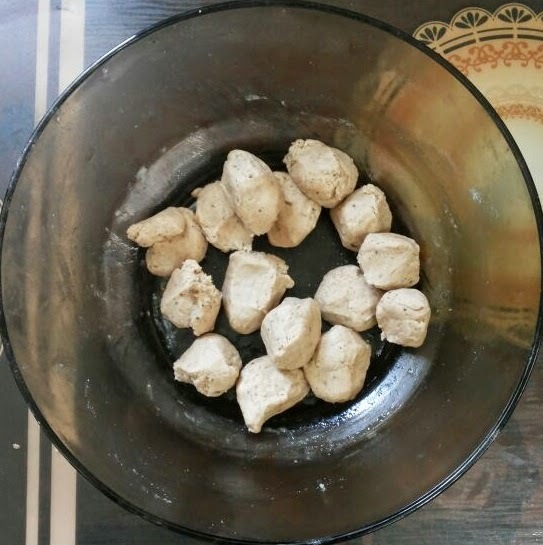 Rajigra Puri is very easy to make. 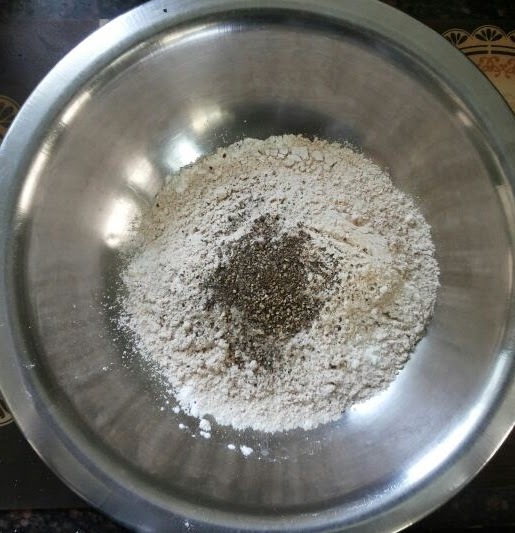 Rajigra flour is very easily available in the Market. These crispy puris taste very good with tea. For my other Vrat/Fasting recipes see Sabudana Khichdi , Farali Pattice. So lets proceed step by step. 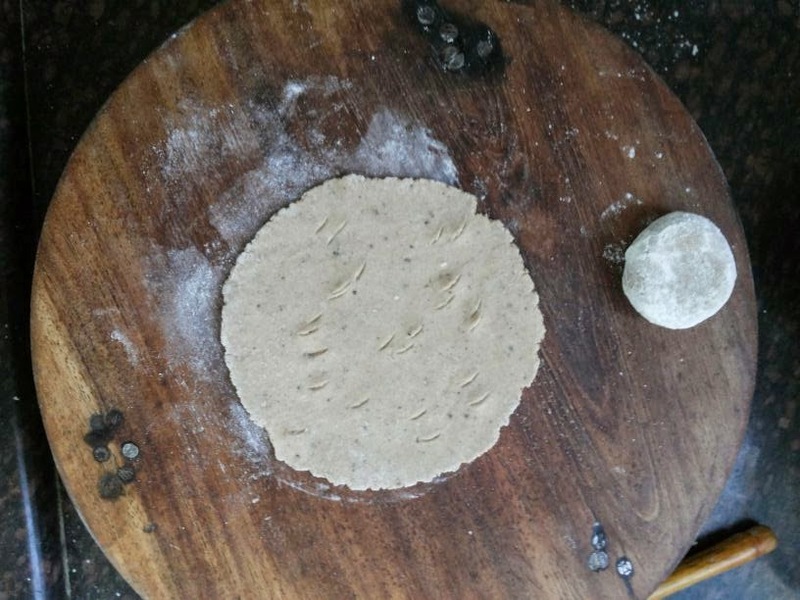 Make small Equal portions of the kneaded dough. Make puris out of the small balls. 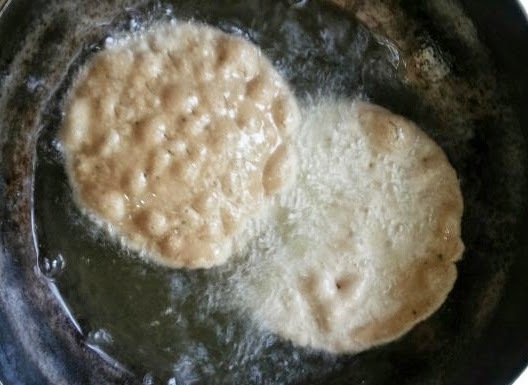 Put marks on the puris with knife like shown in picture, so that puris will be crispy and can also be stored for few days. 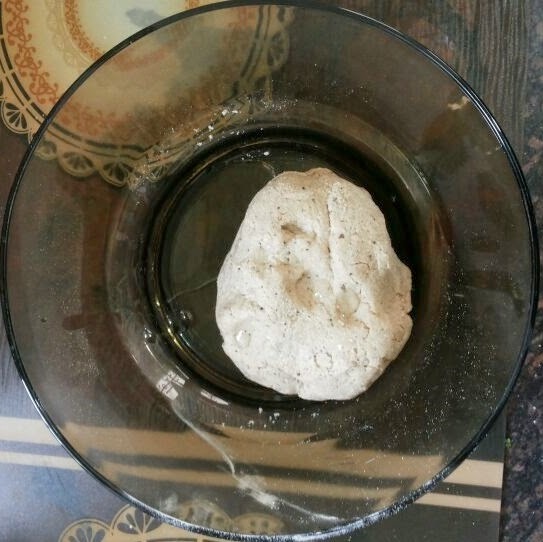 Take Rajigra flour in a bowl. Add a pepper powder and salt. 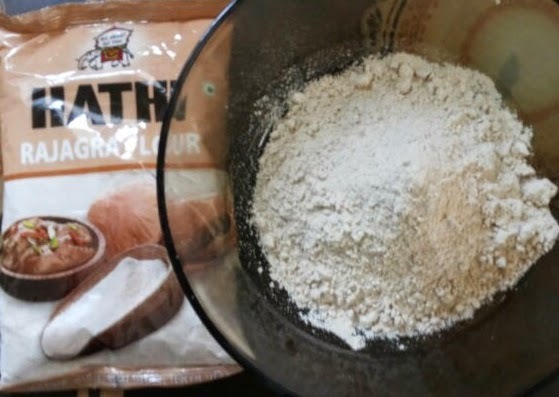 Mix it well and knead it to a soft dough by adding little water. 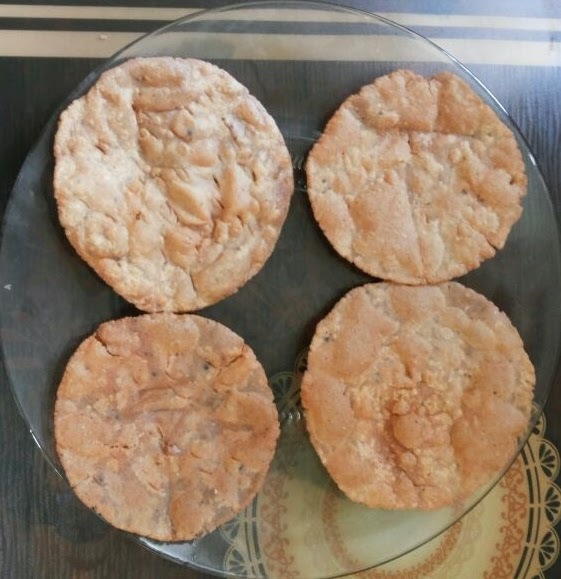 Make puris out of the small balls. Put marks on the puris with knife. Deep fry the individual puris on the low flame till they turn golden brown. Rajigra Puris are ready. Serve hot with Suki Bhaji.